In this interactive theatre experience, meet Kunalan, an Indian man who grew up in a Chinatown shophouse during the 1960s and 1970s. Trace the story of his evolving friendship with Ting Ting, his landlady’s feisty daughter, as well as his relationship with her Cantonese caregiver, Fong Cheh, a majie who became a surrogate mother to him during his growing up years. Literally follow Kunalan through the streets of Kreta Ayer and become immersed in this story of friendship and familial ties. As his memories come to life in this roving theatre performance, be treated to an array of interesting adventures in the nooks and crannies scattered across the neighbourhood, and delve into its cultural and spiritual nuances. Experience the interior of a Chinatown shophouse in a most unique way through a dramatic soundscape. Relive old Singapore and discover the many lost and forgotten practices and art forms of Chinatown’s vibrant community. 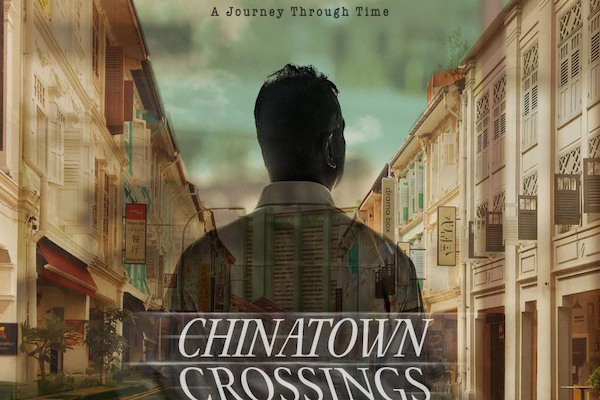 "Chinatown Crossings" is brought to you by Drama Box, and based on Charmaine Leung's book, "17A Keong Saik Road" about her childhood in this still lively neighbourhood. Our evening will finish with a meet the cast session over a cup of Chinese tea.